Home / Video / world / Sa unang tingin akala mo napakaraming basura sa dagat pero kung titignan mong mabuti, mamamangha ka talaga! Sa unang tingin akala mo napakaraming basura sa dagat pero kung titignan mong mabuti, mamamangha ka talaga! When nature works its magic, we can't really help but marvel at its sights. Same goes for tragedies, we're only swept, blown away, or become helpless as nature moves its course. So when we happen to see the actual magic, let's not waste time and document each and every precious moment of it. 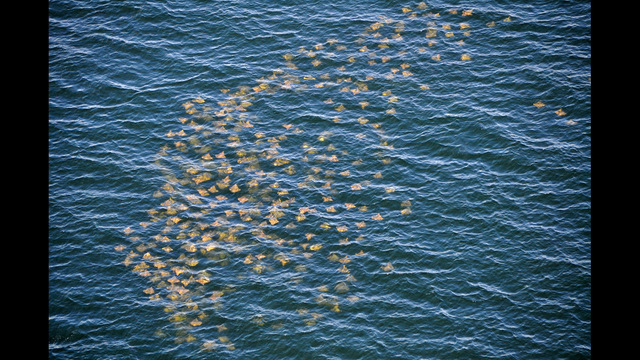 That's what the spotters of this marvelous event did when they saw a large groip of Stingrays migrating off the cost of Florida. 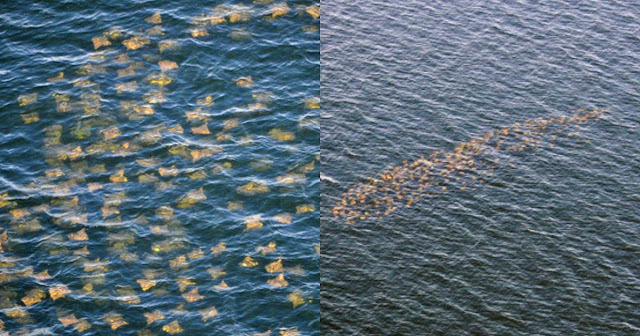 This group of Stingrays also called a "fever" is one of the largest gatherings ever! 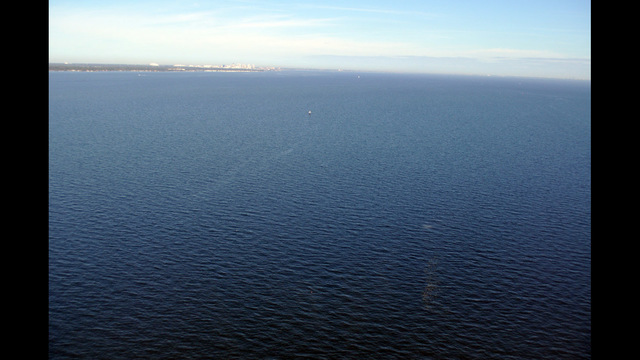 The magnificent footage was collected by a group of people flying on a helicopter over the coast of Tampa Bay, Florida. 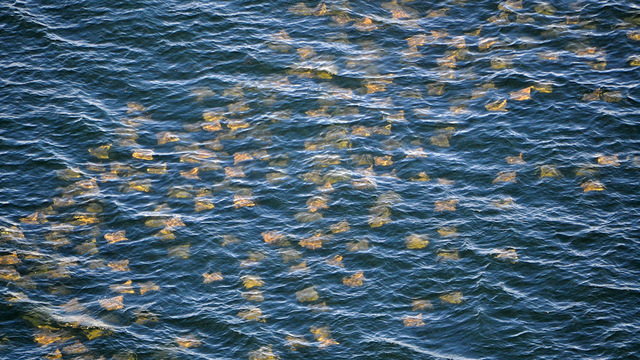 These stingrays, Cownose stingrays, can form groups for as much as 10,000 during such migrations. Looking from afar, they look like a mass of garbage thrown at the sea, but what they truly are can only be appreciated up close. These creatures are serene and may look non-threatening, but beware. They possess sharp barbs that contain venom. A sting from such animal can be fatal. 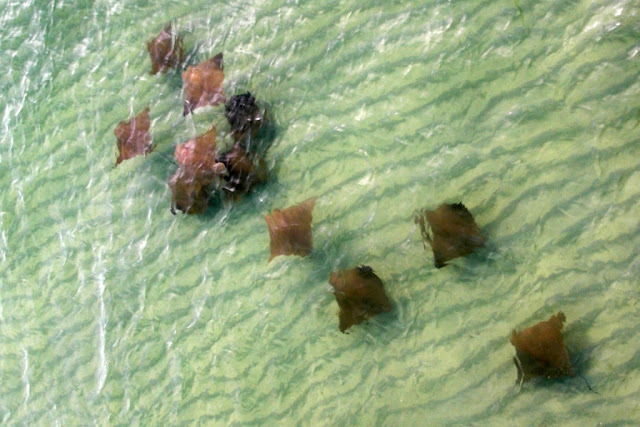 The fever of Stingrays are making their way from the coasts of South America, up through the Gulf of Mexico and would eventually move as far as north of New England. Check out their gathering in the video down below.